“Make no little plans; they have no magic to stir men’s blood and probably themselves will not be realized. Make big plans; aim high in hope and work, remembering that a noble, logical diagram once recorded will not die, but long after we are gone be a living thing, asserting itself with ever-growing insistence. Remember that our sons and our grandsons are going to do things that would stagger us. Let your watchword be order and your beacon beauty”. 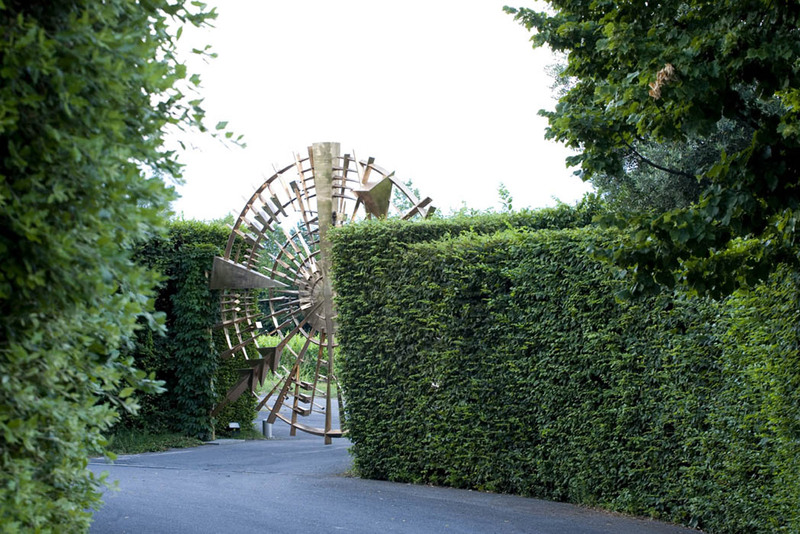 First greeting guests is the estate’s huge gate: not just something that opens and closes but a bronze work of art by famous sculptor Arnaldo Pomodoro. The work, titled “Hymn to the Sun” is a joyful and powerful tribute to the first real nourisher of the grape. Once inside and atop the main hill a vast park of oak, chestnut and acacia spreads before you, strolling through which you can get splendid glimpses of the surrounding vineyards and the entire valley. An ideal way to enter the spirit of the land, where hurry is banned and beauty still takes the preeminent place it deserves. A tour of the winery is a unique experience demonstrating the dedication that goes into every stage of production, artisanal in care and refined in technology.Cooling cells for the grapes, oxygen- and jolt-free handling, aerial tanks that pour through gravity and bottling lines ideated and designed by Ca’ del Bosco are only some of the technological passages shown on the tour. 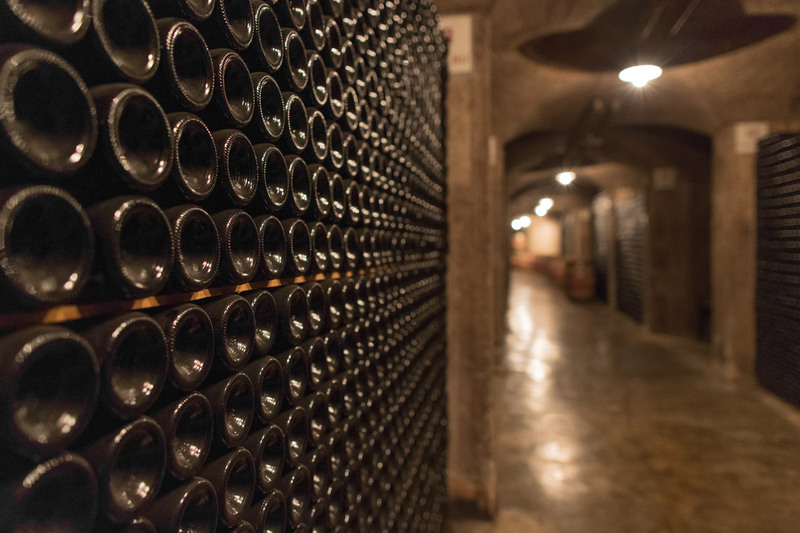 Long corridors and subterranean cellars take visitors along a route leading to the stone dome, considered the heart of Ca’ del Bosco Franciacorta. 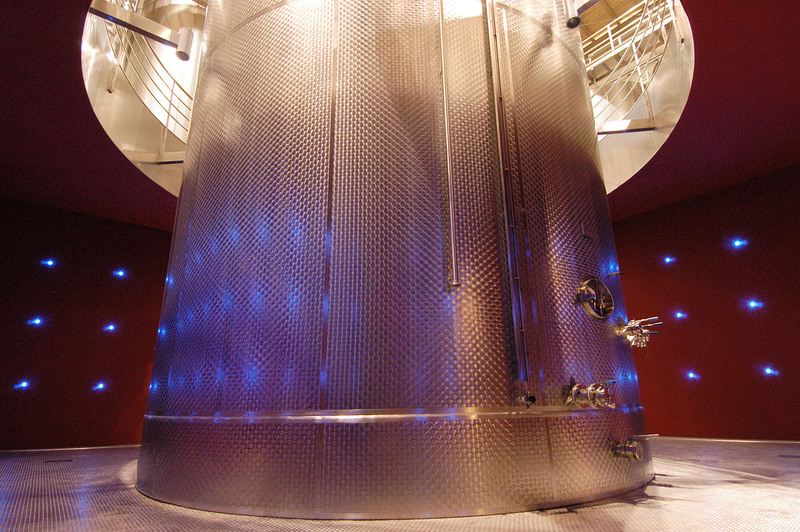 The silence, darkness, moisture and natural temperatures cradle the wines’ fermentation in bottles, their maturation in small oak barrels and their refinement. “In the cellar wine lives a hidden life, secret but watched over”, writes Michel Dovaz. It is precisely the time spent here for refinement, along with the cellarmen’s dedication, that skillfully completes the meticulous work begun in the vineyard.